The earthy smell reminded me that I was ankle deep in mud, the sticky soil clinging heavily to my rain boots, making each step a challenge rather than a mindless task. A miscalculated step could get my face planted in the mud with a scythe buried deep in my midsection or in my chest, depending on how much I flail from the time I lose my balance to when I hit the ground. I wiped my sweaty face with the sleeves of my sweatshirt, swiping my mud-stained gloved hands to take care of stubborn strands of hair that have managed to escape from my haphazard bun. I hunched over and firmly grasped a bunch of stalks and felt them surrendering to the deceptively sharp blade of the scythe. The scythe feels surprisingly light in my hands, giving me a sense of accomplishment each time it cuts through the rice stalks. It didn’t take a long time for me to find the rhythm of hunching over to cut the stalks, putting them to a nearby sack, straightening up and managing a small careful step to the next stalks of rice to cut and ignoring the tiny yelps from my lower back while silently cursing the mostly sedentary life I have back in the city. A few minutes after six on a Saturday morning, a small section of the rice field of Mangarita Farm in Capas, Tarlac was already abuzz with the scent and sound of rice harvesting. What’s unusual with the picture is that instead of local farmers working on the harvest, it was a sea of urban dwellers, mostly yuppies dressed in a colorful ensemble of workout clothes, denim shorts and t-shirts, and jeans and sneakers combos. We were a mixed group. Some are subscribers of Good Food Community (our host at Mangarita farm), others are writers, but definitely all of us are interested in organic farming. Some, like me, were armed with scythes, cutting through the stalks. Others were picking up sacks of harvested stalks and bringing them to the threshing area. After roughly an hour, the assigned area only had stumps left looking defiant against the wet black earth, a testament to our efforts to take on a foreign task. 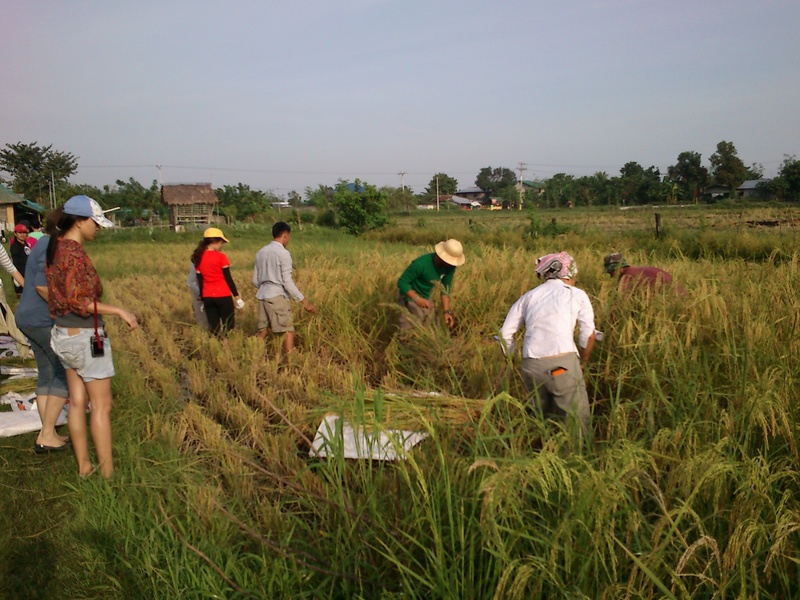 After cleaning up and getting rid of mud, save for some tiny patches that dried in my pants and shirt, I joined the group for the manual threshing. In the manual threshing area, a blue tarp was laid on the ground with two wooden benches lying on their side at each opposite sides of the tarp. Going barefoot is a requirement for manual threshing. Rage optional but deemed useful, which I’ll explain in a bit. We were told to take a bunch of stalks, hold them tight, then forcefully swing and hit the bench with the stalks to remove the grains. Each hit on the bench, the mature grains flew while the green ones stubbornly clung to the stalks. You repeat the process until all the ripe grains are removed then dispose the stalks. The discarded stalks will then be dried in the sun, locally known as dayami, and used as fertilizer. Manual threshing seems to be somewhat cathartic for people with deep-seated rage. If you focus on your rage, you hit with more force, you hardly notice the sting of grains flying into your face. This allows you to thresh faster. Of course you’ll never find that in any agricultural handbook. At almost eight, with threshed grains barely filling a few cups, Good Food invited us to a breakfast of red rice, fried bangus (milkfish), fried eggplant, boiled duck eggs, pan de sal, peanut butter, banana, tarragon tea and coffee. After the heavy meal, while we were lazily sipping on our teas and coffee, Charlene Tan, or Char, head and founder of Good Food Community, started the discussion about CSA or community-shared agriculture with an introduction of the company followed with a Q&A about organic food, genetically modified organisms and farming in general. Good Food, through Greenpeace, invited us over at Mangarita Farm to get a glimpse of organic farming, meet the farmers and to encourage us to patronize organic produce and also to promote urban gardening and composting. Char and her friends from church started Good Food Community back in 2011 with the aim to make organic produce more accessible to consumers, especially in the city. We live in a time where crops are heavily laden with pesticides and others even genetically modified that consumers are facing serious health risks, especially those in the urban areas where the only options are buying from grocery chains and public markets with produce supplied by big farms. Good Food acts like a middle man, reaching out to local farmers and encouraging them to switch from traditional farming to ecological agriculture. Farmers are usually adamant to make this switch mainly because it’s financially risky. If you’re used to commercial fertilizers and pesticides giving you a certain amount of yield, then someone tells you to ditch them in favor of natural means without assurance of the yield you’ll get, you’ll be wary, too. So this is where the community-shared agriculture model comes in. Good Food convinces the farmers that Good Food will buy each week’s harvest, regardless of the market situation. Whether the market says vegetables should be cheap or expensive due to weather, supply and other factors, the farmers are assured that Good Food will buy theirs at an agreed fixed price. This means that Good Food needs to have subscribers in the metro who would buy these goods from the farmers. 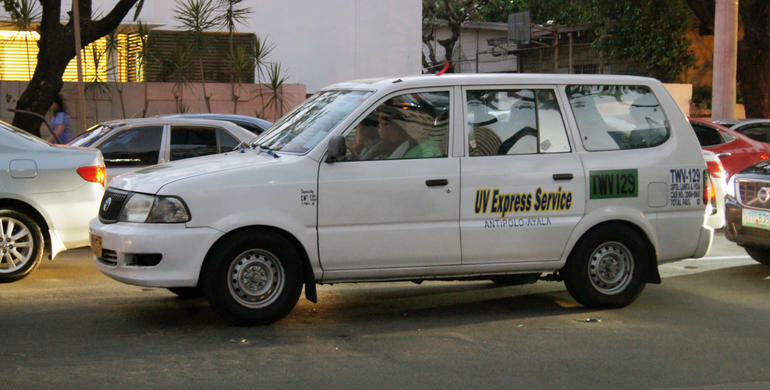 Subscribers are the upfront short- and long-term stakeholders of the company. The subscribers can enroll on a farm pack of their choice: a Salad Pack, Bayong Pambahay or a Juice Pack either on a short- or long-term basis. They will then get to pick up their organic produce each week at designated drop-off points called hubs. – The local farmers practice ecological agriculture, basically a sustainable form of agriculture wherein you work with nature instead of against it. Definitely no commercial fertilizers and pesticides are used. Instead, organic fetilizers e.g. compost and mulch and natural means to ward off insects or pets are utilized. neighboring farms. The plants on the buffer zone will not be organic since they’ve been contaminated. – Good Food’s main funding source is the subscriptions, which they use to pay the farmers. They’re working hard to reach out to more consumers in the metro to switch to organic produce in order to support more local farmers. If you’re a city dweller who likes fresh and healthy food and would like to help the farmers, then go ahead and check out their farm packs to see which best suits your needs. – SIBAT (Sibol ng Agham at Teknolohiya), or Wellspring of Science and Technology, worked with Good Food in their early days and helped them set up in the province. SIBAT is an NGO which aims to promote and develop sustainable agriculture, renewable energy and water resources in rural areas. 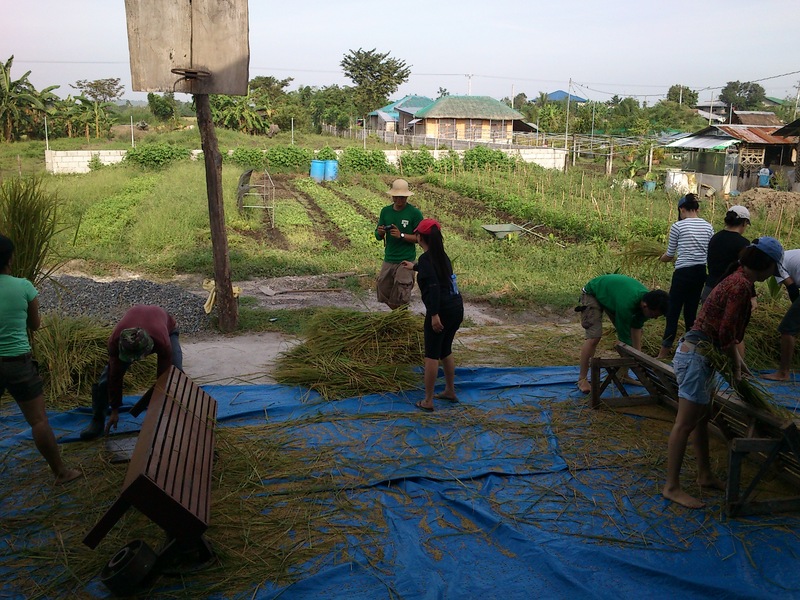 – Good Food currently works with farmers in Capas, Tarlac and La Trinidad in Benguet. They dream of working with farmers from other provinces. – Our whole lives we were taught to pick the produce with smooth skin and avoid those with marks left by insects. Well, guess what? What the insects find delicious are actually delicious. And the unmarred and perfectly looking veggies and fruits are the ones laden with pesticide, hence insects couldn’t bear to approach them, much less eat. After the colorful discussion, Char gave us a tour of Mangarita Farm and the farms of Nay Marie and Ate Lady. Nay Marie and Ate Lady are members of COPFC or Capas Organic Producers and Farmers Cooperative. The rest of the Good Food team also accompanied us on the tour: Drei, community support and volunteering; Micah, marketing and events; and Jabez, farmer, teacher, learning and accreditation support. Ernest, in charge of operations and supply, was conducting a meeting with the COPFC farmers at that time. At the meeting, I couldn’t help but notice that they’re mostly elderly, except for Ate Lady. Nevertheless, they exude health and energy that you probably only get from daily farm work and regular consumption of organic food. It was past ten when we did the tour. I was all sweaty and felt like the merciless sun had fried my brains at that point. And I have an umbrella, a scarf and a handy water bottle to boot. Here I was with farmers probably twice my age who tend to their farms every day, and they still have the energy to smile and welcome us. How lame can I get, right? Anyway, here are some things I gathered from touring Nay Marie’s, Ate Lady’s and Mangarita farms. – Diversity of crops. As Char puts it, we don’t want “pinakbet” vegetables every day. Hence, aside from the “bahay kubo” staples, the farms also have lots of varieties of leafy vegetables such as pechay, kangkong, Chinese Kai-lan, arugula, mizuna and romaine and iceberg lettuce; root crops such as sweet potato, cassava, radish; herbs and spices such as basil, pepper, rosemary, mint (yerba buena) onion, lemon grass and ginger; and fruits such as banana, jackfruit, avocado, papaya, caimito and mango. I even saw cacao at Ate Lady’s farm. – Intercropping is practiced by organic farmers. As I have just said, their crops are diverse. What I was surprised to see is that their vegetable gardens are not the “organized” vegetation that is usually seen on magazines or on TV. But this seemingly disorganized system actually is based on science and is a natural way of fighting pests. As Jabez explained to us, when insects see neat rows of vegetables, it looks like buffet for them, hence, they get really attracted to the plants and devour them in no time. Whereas when they see a disorganized garden, they tend to get distracted and confused. That’s why a plot could be planted with a mix of amaranths, mizuna, lettuce, basil and others. And you would also see eggplants next to okras and tomatoes. – Sacrificial plants and other distractions. For vines such as ampalaya (bitter melon), patola (sponge gourd) and squash, farmers usually put sacrificial plants beside them or at least a distraction for insects. Marigolds are a favorite distraction. 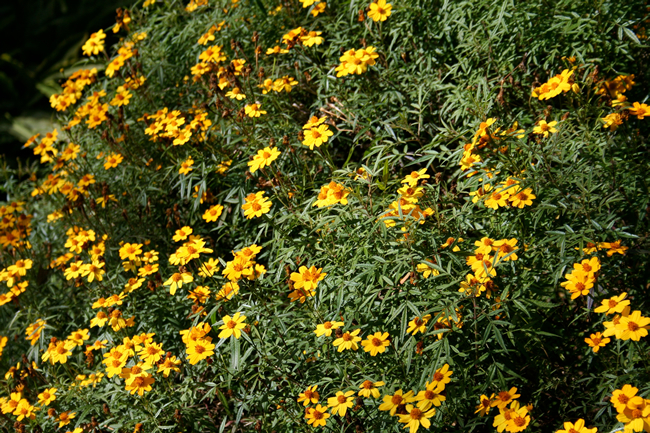 Their flowers are a rich yellow that insects easily get attracted to them. We know people who are like this, too, right? Also, sweet smelling herbs like basil are used. The insects find their scent irresistible. I mean, who wouldn’t? – Weeds. In the words of Jabez, “There’s no such thing as weeds. We just haven’t found uses for them yet.” Another thing that came as a shock to us is that weeds are everywhere. They don’t seem to bother the farmers. Jabez has explained that there’s no need to remove them. He further explains that when you remove the weeds, the empty patch of soil gets exposed to the heat. Nature reacts to this by growing weeds again. So instead, what you do is let the weeds grow alongside the vegetables but train your plants to be “winners.” He actually used the word winner. He said it is best to let the plant learn to compete with the weeds so that it’ll grow tougher. Yes, it’s just like being overprotective with kids versus letting them be street smarts. With plants, you want the street smart ones. You want them to be survivors, not spoiled brats. He said putting mulch around the plants help them win over the weeds. – Greenhouse/s. They’re very important, especially with the kind of weather that we have. Plants could die or get damaged easily due to extreme heat and rain. The greenhouse ensures that when extreme weather hits, there will be plants that would survive. Farmers can borrow money from Good Food to set up their greenhouses at 0% interest. If that isn’t good, then I don’t know what is. – Vermiculture. Jabez and Drei explained vermiculture to us, which is a type of composting using African nightcrawlers who feed on decomposed waste. Their poop becomes the compost. It looks like soil, we couldn’t believe it was worm poop. Can you imagine if your life’s sole purpose is just to poop? How simple could it be? No taxes to be paid. 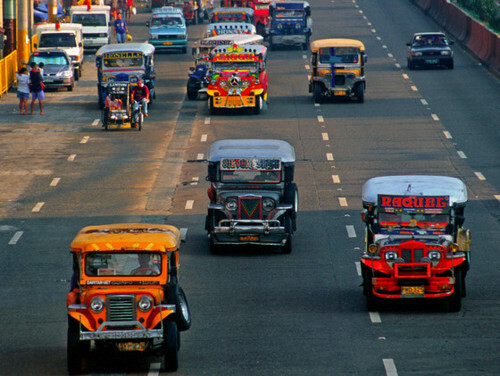 No risk of getting stuck in EDSA traffic. No worries about weight loss or gain. No wars to be fought. Haha. 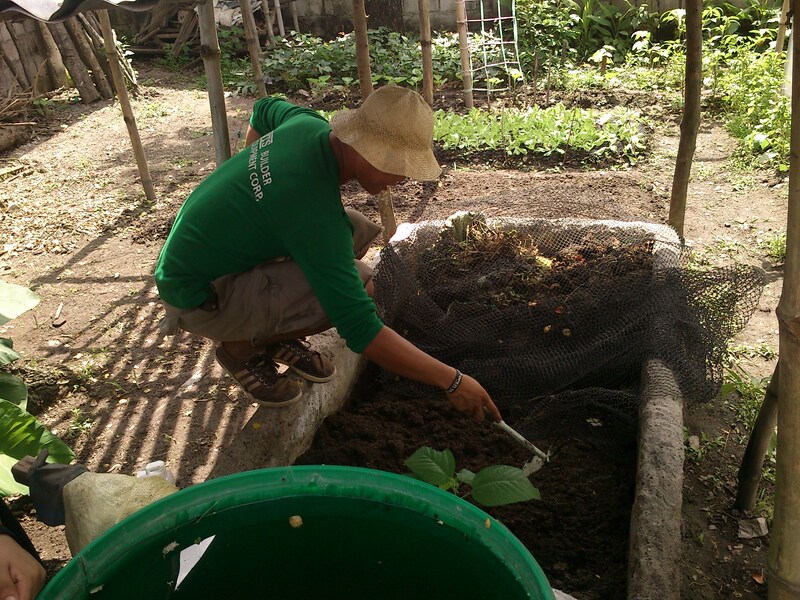 Jabez poking the worms of a Vermi compost. 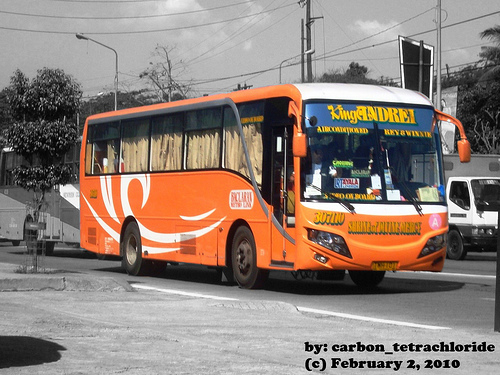 Photo by Lancel Marcos. After the tour, we had a sumptuous lunch of red rice, kare-kare, veggie meat barbecue, grilled pork, ginataang papaya and fried spring rolls. Good Food is very serious about the “good” part in their name. I mean, seriously, from the heavy breakfast to the merienda where they served us rice cakes and kalamansi juice, to the lunch buffet, everything was delicious. After eating, Good Food gave us media kits with more information about CSA and organic farming. Included also were lettuce seeds and an invite to their weekend farmer’s market they call Good Food Sundays at Uno Morato, (which I’ll probably write about on a different post). Greenpeace gave us a swag bag with literature about sustainable agriculture and a cute writing pad. Oh, Greenpeace, you know I’ve professed my love for you a long time ago, but now I heart you more for this bag because I badly need a new lunch bag. Hah! Thank you also for the bokashi starter kit. For a city dweller like me with perpetual guilt about food waste, this offers me redemption. We hit the road right after lunch and I could hardly believe we went through all that in just half a day. I was seeing cacao trees, marigolds and smiling weathered faces before I drifted off to sleep on our way to back to Manila. For those interested in organic produce and community shared agriculture, or if you’re also interested in visiting an organic farm, you can check out Good Food’s site here. Good Food also brings fresh produce every Sunday at Uno Morato, at GYY Building’s garden at the back, from 7 a.m. to 1 p.m. Aside from vegetables and fruits, there are freshly baked breads, preserves, coffee, chocolates, cheeses, nuts, soya milk, honey, chicken, pork, rice and even seedlings. It’s an intimate gathering of people passionate about food. Organic food that is. Check out Good Food Sundays on Facebook. If you want to know more about Greenpeace’s campaign for organic food and food diversity, click here. I do not claim to be socially responsible. Truth be told, I am far from being socially aware. That admission shames me. Trust me, it does. I am the stereotype of my generation, the seemingly apathetic. I can come up with a thousand and one excuses but it does not deny the fact that, while I am not a government official abusing power, I am just as morally and socially inept; and just the opposite, I think it emphasizes my lack of cultural consciousness. I dutifully pay taxes, it appears, but that is because it automatically gets deducted from my paycheck. If not, I don’t know how I’d be able to do so on time and file my 2316 on or before the 15th of April every year. I was never good in math but I’ve always been good at procrastinating. I hardly watch the news and when reading online, I skip most of the local news. I do this for a number of reasons. First, the evening news is on while I’m having dinner before I head for work. I don’t know about you but images of bloodied victims of shootouts and old politicians shaming women who use the pill just don’t go well with my food. I read the news online but I skim the headlines and skip the recycled ones. This borders on being judgmental but I can only be a masochist to a certain degree. Sometimes there are news stories that would just call out to you no matter how apathetic you are. 2. Take the RH bill and how backwards some of our lawmakers are. As a woman, the arguments presented by some politicians were offensive and shameful. They were sickening and disheartening at the least. But when the bill got passed, I celebrated along with the Filipinos who have held on to the promise of slow steps towards progress. 3. Take the recent national elections and how disappointing for many Filipinos the results are. I only voted four senatoriables, the ones I considered worthy, and all of them lost. I was floored. This was a heartache worse than when that good-on-paper guy did not ask me to be his girlfriend. The aftermath of the elections is just as fiery as the events prior to the elections, if not hotter. This is the time when even the apolitical cannot help but react to the poll results. Practically everyone has something to say about the candidates, both the winners and the losers. I still think it is a shame that most of the winning senators, in my belief, are unqualified. Most of them are from famous/infamous families, which apparently, these days is the only qualification you need to be elected. I’m looking at you Grace Poe, Bam Aquino and the crowd favorite, Nancy Binay. Yes, I did not vote for them and I think it’s a travesty that they won, yet I also have to accept the fact that we are a democratic country, and these three, among others, have been voted by the majority. Obviously, I do not agree with the majority but I respect their opinion. I truly mean that. What I don’t respect are the so-called “educated” voters, mostly the middle class, who have been shaming the masa voters for their choices. There had been a lot of name calling especially on social networking sites. The “masa” had been called a lot of names: tanga, bobo, gago, mal-edukado. There is no excuse for rudeness and name calling is not only immature and crude but only weakens, if not destroy, your argument. We have our own reasons for our own choices. We live in a free country. And while freedom may not be absolute, we should not be judged as inferior or stupid because we chose someone different. 4. Then just last week, many Filipinos cried foul when international bestselling author Dan Brown (from The Da Vinci Code and Angels and Demons fame), described Manila in his book as the gates of hell. MMDA Chairman Francis Tolentino was quick to defend Manila’s honor by writing to Mr. Brown and refuting the author’s description of the city. The outcry on social networking sites have been loud. Again, to each his own. We are entitled to our opinion. 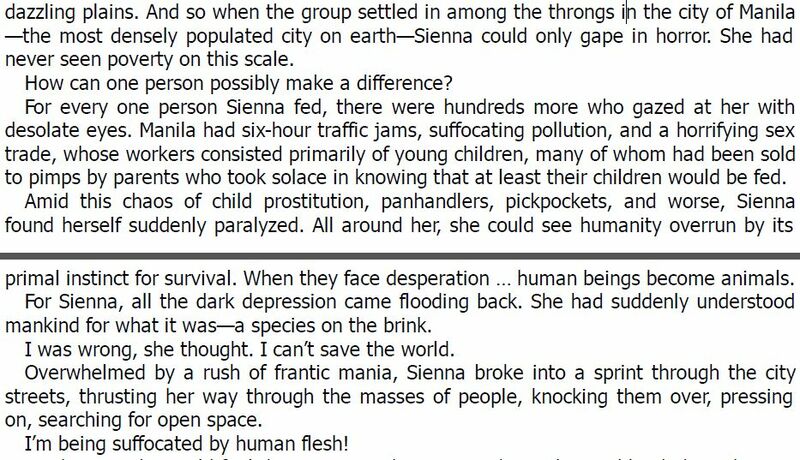 And I don’t know about you, but on many occasions, I have described living in the metro hellish, too. Hell, just the heat, overpopulation and traffic are reasons enough for me to believe I live in hell. But Mr. Brown, I don’t think traffic, even at its worst, is a six-hour jam. That is absurd! It’s only five hours! Four at best! I kid, I kid. I’ve been approached one too many times and offered hookers. And I’m a girl! My good friends Jayby and Kent can attest to this. 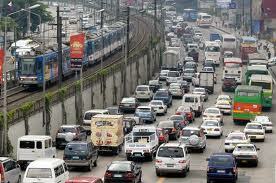 Try crossing Aurora-EDSA bridge late night or early morning. The sidewalks of Aurora also has a booming flesh trade. I work nights and I used to pass by that area. From Mr. Brown’s description, he can’t be far from the truth. I imagine Manila has the same business prospects, if not, better. Pickpockets, panhandlers, who would claim to not have seen those? If you seriously haven’t, then you’re not a resident of the metro or you’re a sheltered trust fund baby who’s being chauferred from your dreamy castle inside Forbes to your little international school inside a gated subdivision south of the metro, in which case, I regret to inform you that you don’t count as a Metro Manila resident. So far, those have been the news that caught my attention. Well, there’s the opening of SM Aura but meh, anything about Mr. Sy and his empire is disgusting to me anyway. I know I still buy groceries from SM from time to time but darn, his empire is everywhere it’s hard to escape him. There’s also Vin Diesel and Sarah Jessica Parker visiting our country. Hmm. Not interested. I’m mostly like this when reading the news. So I guess I’ll see you next time some headline catches my fancy. In the meantime, I’ll wait for my chauffeur to bring me to Shangri-La for lunch. You should avoid being seated next to a sleepyhead. At some point during the commute, his head is gonna rest on your shoulders. You can try to nudge him off but sometimes they’re dead to the world, hence, you might end up with a stranger’s drool on your sleeves. Plus all that heavy breathing is gonna drive you nuts. With the advent of mobile technology, came the demise of privacy. Technically, in a public transport, your privacy is greatly diminished. But don’t you just hate it when the passenger you’re with is yapping on the phone endlessly? Most of the time, I am rather proud of my “zoning out” capabilities, meaning, I go in a zone where there’s just space for me and block all external distractions like smell, sight and sound. But there are people who just would love to test your limits. When a Broadcaster travels with you, before you reach your destination, you would have already known that she is planning to break up with her boyfriend after Christmas because she thinks the new IT guy is cute. Also, she and her friends are going to Boracay and so they’re planning to shop for swimwear at divi next weekend. And oh, her cousin is having an affair with a married man. I know that we are all helpless against the sweltering heat when we’re outdoors but would it be too much for you to have a hanky or tissue paper handy to wipe off your sweat? I am sweaty that’s why I carry tons of paper towels in my backpack. When it’s 40 degrees outside and you’re squeezed in random bodies in a train, the last thing you want is a sweaty arm rubbing your face. A bonus is if he reeks of body odor. This doesn’t happen often, at least not to me. or maybe I just don’t notice them often enough. But sometimes, it’s like the universe conspires to tease you with a hottie on board. When I say hottie, it could be a hot guy or a really pretty girl. Oftentimes, I get self-conscious when a hottie sits right in my line of vision because then I split my time staring at him/her and pretending to not stare at him/her. All else being equal, a hottie is an interesting distraction for your commute and a reminder that sometimes people who are thousand times more attractive than you also take the shuttle. My parents instilled in my mind at a pretty young age never to talk to strangers lest they kidnap me, put me in a sack, harvest my organs to be sold to rich Westerners who need a transplant. That, my friends, is deeply ingrained in my heart until now. If you are just asking for directions or the fare at the shuttle or bus, then I’d respond properly. If you’re gonna launch into a discussion with a preface about the weather, then I’m just gonna stare at you like I just recognized you as the Most Wanted Person I just saw on TV. If you’re an older person who wants to chat, out of respect, I would smile but you are never gonna get anything more than that. My commute is a commute, simply getting from point A to B. Conversations are not included in the package. If you want to fully experience my awesomely brilliant personality, then you have to call my agent and arrange for an audience. Some people are just oozing with negativity that you just want to smash their face into pieces before putting said pieces into a blender, hitting the max button. I kid, I kid. Seriously, serial complainers/ants, tend to make me think of homicidal thoughts. Everyone knows traffic is bad. We don’t need you to remind us. If you’re running late and you’re pissed that the shuttle is still stuck in the terminal waiting for more passengers, then how is that our fault or the driver’s fault? It’s nobody’s fault that you overslept and is now running late for a meeting, but yours. If I’m seated next to you, I’ll give you a gazillion of imaginary eye rolls. These I mostly encounter on my early morning train ride. I have to admit, I admire their skills. I have a hard time applying makeup on solid ground, i.e. at home in front of the mirror. But these girls are so evolved, they could actually do it while the train lurches and screeches to a halt with just a tiny compact. And then voila, fully made up to face another day at work. Way to go, sistah! When you’re on a public vehicle be it a bus, train, shuttle or jeepney, you have to share the seat space. Share is the operative word not hoard. Some people are like bricks that just won’t budge even if he or she knows that the next person is uncomfortably seating on the edge of the seat. I am pretty sure there is a special place in hell for the Bricks. My favorite commuters are the Nitrogen(s). Just like their namesake, they’re invisible but definitely essential. Let me qualify invisible. You sit or stand next to them but their presence does not bother you because they’re not noisy or sweaty or chatty. They’re just there, just like you, trying to get from point A to B. Why essential? You need Nitrogen(s) in your commute because that shuttle/FX/AUV won’t depart unless all seats are occupied. You don’t wanna be alone in a bus. If you are, you either missed your stop and is on the way to the bus depot or you’ve been kidnapped or in a similarly scary situation. Check your person if you have a bomb attached to you. I kid, I kid. Can you imagine if you were alone on the train? Well, it’s never gonna happen and you very well know why. 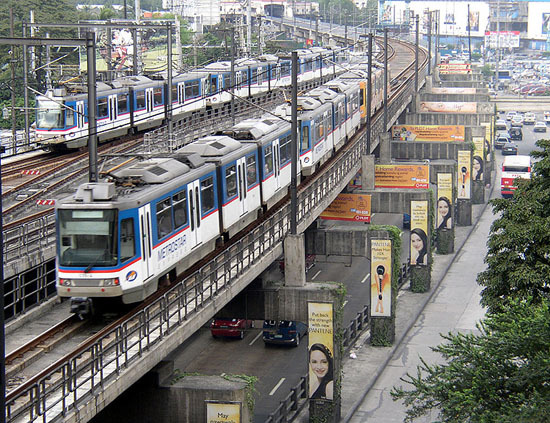 *In the Philippine context, commuting mostly refers to taking public transportation.